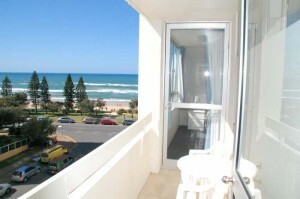 Surfers Paradise is a very popular destination in Queensland, and there’s no shortage of Surfers accomodation. Many places are a long way from the beach, however, so be careful when you choose your accomodation. As you can see here, we’re just across the road – a very short walk from the sand and the surf! We’ve got our own swimming pool, a cafe & bar downstairs, and we’re surrounded by local shops, cafes, and restaurants. We’re just a couple of blocks from the very heart of Surfers Paradise, making us the idea Surfers accomodation! We’re a terrific value Surfers Paradise resort – check out the photos and video here.